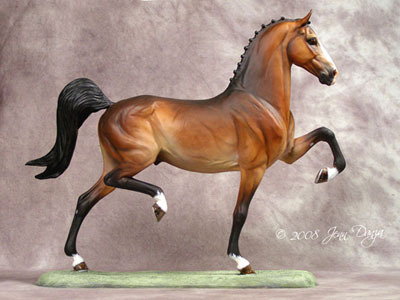 High Society, a Hackney Horse stallion sculpted by David Mayer. 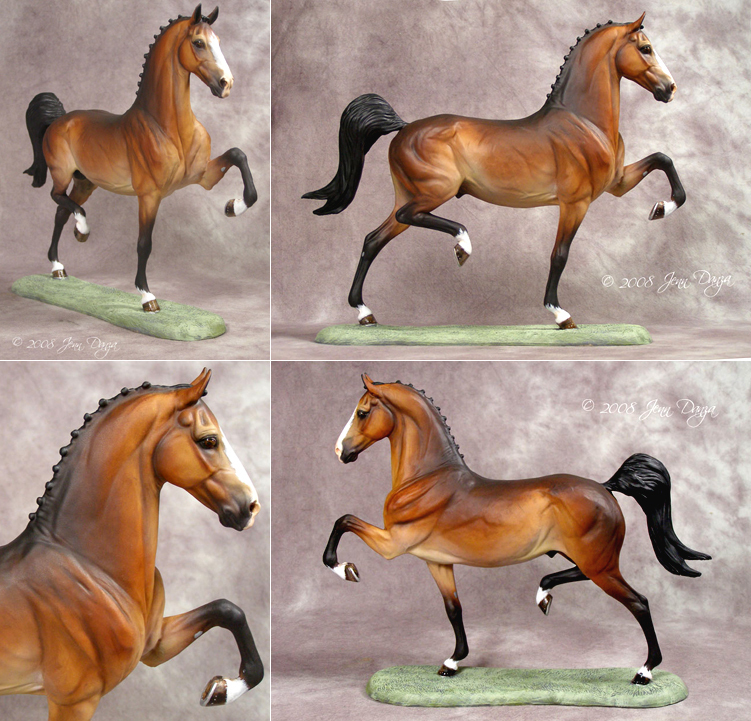 This high stepping Hackney Horse is breathtaking with the knees raised high, powerful quarters and gentle eye making this sculpture a winner. So why not add this stylish show horse to your show string! High Society can either be bought as a clean casting priced at £130.00 ex VAT, or as a raw casting priced at only £80.00 ex VAT. The raw casting option allows you to save money against our normal price if you don't mind doing a little work! 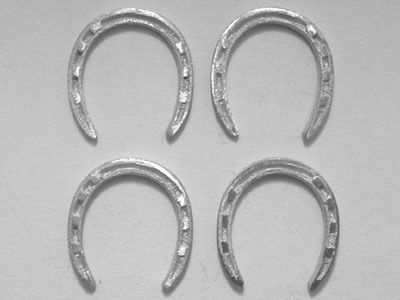 A raw casting is straight from the mould and has had no, or very little work done to it. High Society is 9.25 inches (23.5 cm) tall to the ears and cast in Smooth-On polyurethane resin as used by most US hobby casters. 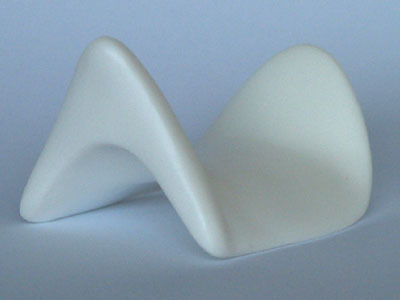 Cast separately from its base for easy painting, or if you prefer to create your own performance base, the supporting hooves has been pegged for a snug fit into the base. Legs are wire reinforced for added strength. 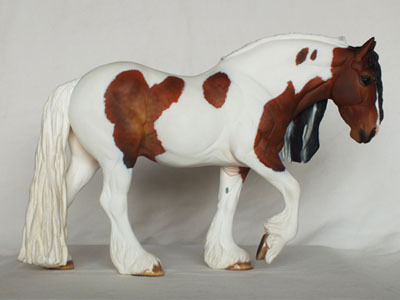 He is a limited edition of 75 pieces and supplied unpainted.